Earlier in March I had an amazing experience taking part in the Edinburgh International Science Festival. In the beginning I was a bit reluctant at the thought of committing myself to this type of extracurricular activity, as I’d had no experience working with younger pupils and, like any other young professional, I had heavy work-related commitments. But then I remembered reading a very touching quote from Marie C Wilson who said … “you can’t be what you can’t see” and that sentence stuck in my head… even though it was in the context of gender equality, it just seemed to make sense when I thought of what will happen in the future with acoustics as a profession. As a subject, acoustics remains relatively little-known, and unlikely to be an obvious option a student would consider for a career. I was lucky enough to encounter acoustics within my first year at university, and it took me a while to find that I am passionate about it. I made me think that, if I’d had a role model - a passionate acoustician or a remarkable sound engineer - then I would probably have gone down the acoustics path straight away instead of losing time trying different things here and there. 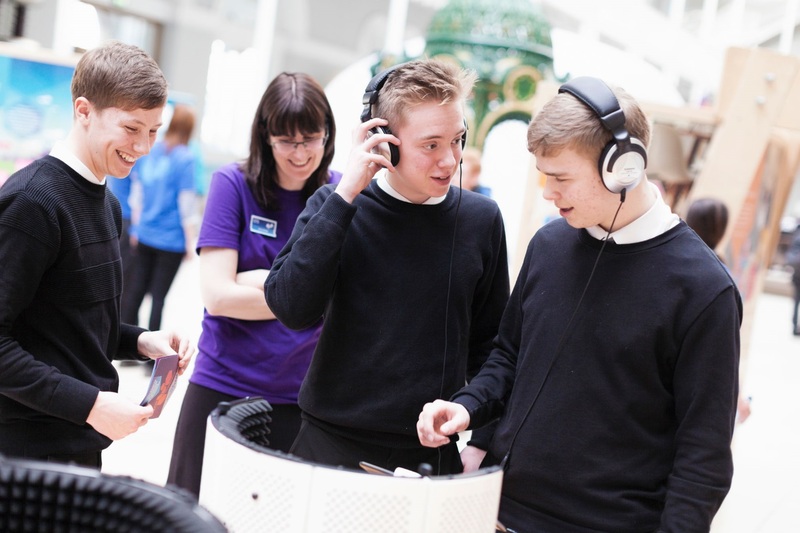 The Edinburgh International Science Festival offers a great platform for enthusiastic engineers to inspire young people and encourage them to join the world of acoustics. Joining the movement was very straightforward. I just had to sign up via the website and be willing to spend a couple of afternoons training, and a couple of days at the actual event itself. I’d like to thank the IOA Scottish branch for being the initial link! The training was very simple too, as it consisted of interactive games and ‘breaking the ice’ activities - it is worthwhile mentioning that it also provided great networking opportunities. The sessions were very informative and we learned about the type of language to use when speaking to students and helped us to become more enthusiastic when we explain about our jobs. Simple, isn’t it? The venue was gorgeous. This year it happened to be in the main Gallery of the National Museum of Scotland in Edinburgh. We set up a bunch of stalls and play zones with all sorts of things like tiny robots, virtual reality rooms, interactive screens… so from the moment you entered the gallery, you’d feel immediately inspired to learn about everything! Acoustics had its own stand with 3 volunteers + 6 iPads with microphones and headphones. The challenge for us was to show how cool acoustics was with Rockband - this is a huge challenge when your job is in consultancy. But nevertheless, one way or another we ended up having long conversations with students about what we did, and the ‘challenge’ turned out to be rather simple because we just needed to talk about what we do! The students (or most of them) were curious enough to just walk up and ask you questions… although some of them were more interested in my accent than in my profession… but once you break the ice the conversation flows and falls into place. It was a lovely day just showing how cool it was to be an acoustician and explaining the many things you could do. I would strongly recommend anyone to join the movement next year! 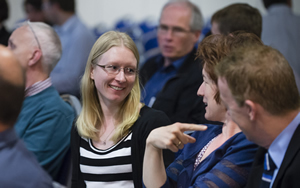 There is a budget available which helps with the costs of travelling, and you would definitely make a difference for someone – hundreds of students ask you questions – and most importantly you would be a role model for potential acousticians! We need our profession to be respected and rewarded in the future, so what better way than to inspire! Remember “you can’t be what you can’t see” so if we want a future for acoustics as a profession, then we need to make sure the ‘future’ knows what we are!